Must have 2.75 GPA and the desire to lead. Please contact PiKappaPhi@oregonstate.edu for more information. Pi Kappa Phi Fraternity was founded in 1904 at the College of Charleston in South Carolina by a group of men who where looking for something different than what any other fraternity had to offer. 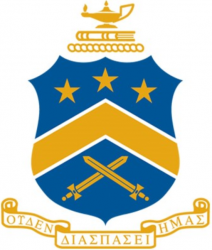 Pi Kappa Phi prides itself on being men of CLASS: character,leadership, achievement, scholarship,and service. Since 1904 Pi Kappa Phi has been one of the fastest growing and largest fraternities in existence with over 120,000 brothers both active and alumni. There are over 170 chapters of Pi Kappa Phi across the country. We excel in all areas of CLASS but are most proud of the fact that Pi Kappa Phi owns and operates our own philanthropic organization- The Ability Experience. The Ability Experience focuses on serving people with disabilities, working hard to eliminate any barriers or life experiences that individuals with disabilities may face. Out two philanthropy events are ACes for Ability and War of the Roses. Both philanthropy events raise money for our 501(c)(3) organization, The Ability Experience. Additionally, brothers of Pi Kappa Phi work with our local philanthropic partner, The Arc of Benton Count, to "spread the word to end the word" and eliminate the use of the word "retarded" from everyday speech. This is Pi Kappa Phi's annual fall philanthropy event with centers on a sand volleyball tournament where teams compete to win points by placing near the top. Addditionally fraternity and sorority organizations earn points by raising money throughout the week via donations and competing in say to day mini challenges during check-ins. This is Pi Kappa Phi's annual spring philanthropy event which raises money and areaness for people with disabilites. like Aces for Ability, all funds raised go to our national nonprofit organization, The Ability Experience. Fraternity and sorority organizations compete to earn points and raise money over the three day event which features several contests spanning the duration.